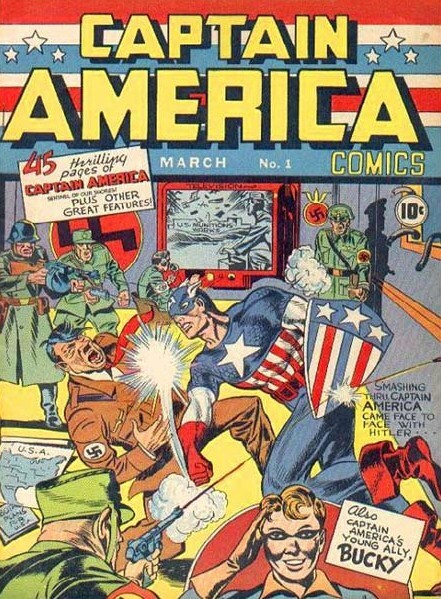 Comic books are an art used as a forum for social commentary. They show us what we should value in ourselves and our relationships. The characters within the pages of the medium can teach us the greatest aspects of ourselves: integrity, honesty, and strong moral ethics. These are the values that we should all strive for as conscious global citizens. The art form of comic books gives us a pure freedom of expression. We can become anything that we wish within the panels of the art. We can imagine a world full of people who care and help others for the greater good. We can imagine a world of heroes, or ordinary people doing extraordinary things. Within the pages of comics, they teach us that with great power comes the even greater responsibility of knowing when to exercise that power. If only for a brief moment, these heroes show us that good can triumph over evil. Developing a forum for imagination and expression, comic books speak to the values of our individual moral principles. They help connect us to something bigger than ourselves. In addressing the human condition, comic books give us a platform to ask the big questions. Questions such as: what motivates our actions towards others, and how do we maintain strong and healthy relationships with others? It helps us to reflect and broaden our opinions about the global issues surrounding us all. Important issues like racism, sexism, and discrimination are brought to the forefront and acted out within the colorful pages and stories told through the medium. Their dialogue can be controversial, and thought-provoking. They teach us to not judge others because of the way they look or act. They can also just be fun, or help us to escape the realities of our lives. A neglected child may seek refuge within the pages of his or her favorite superhero, or comic book character. This child may strive for the actions best exemplified by their favorite hero to help deal with their own life and reality. A comic book’s message can be inspiring or enlightening, but often never boring. Their settings may be a small town in America, or a different world all together; however, through their stories and messages we can see the similarities tying us all together. Comic books have taught me the greatest aspects of being human, because the medium is authentic.